Wasps, yellow jackets and hornets are all considered stinging insects. Their stingers can leave red welts that are itchy, painful and uncomfortable. 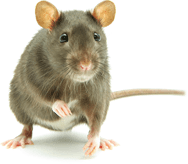 If you are allergic, they can cause severe allergic reactions, with some bites even being fatal. Don't let this happen to you. Call us first. We are skilled in the removal of all types of stinging insects. Wasps are stinging insects closely related to bees and ants. They are made up of many different species, such as hornets and yellow jackets. 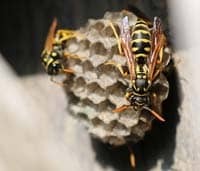 Unlike bees who build complex societies, wasps are solitary insects, acting as parasites or predators that feed on other insects, such as honey bees. How a wasp looks will vary depending on what species it is. You may notice two pairs of wings and a cinched waist in some, with yellow and black coloring. Others are black or have metallic shades of green and blue. Wasps and other stinging insects love soda spills, open trash cans, and sugary treats. That's why it's important to clean up spills and sweets immediately, especially outside. Wasps can invade and attack if provoked. Removal of wasp nests requires the attention of a professional, who can take a careful and multi-step approach. Contact your hornet pest control professionals at PureGuard for proper stinging insect removal. We can give you a free quote now at 615-502-2855. Awesome customer service and did a great job. Very professional company and you can tell they are run well. No more Hornets! I will definitely use them again.